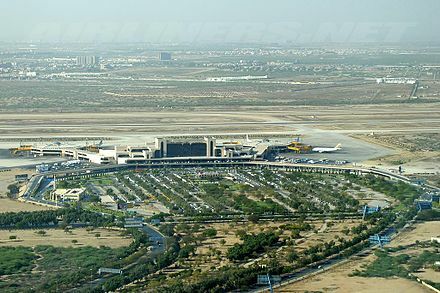 Jinnah International Airport (Urdu : جناح بین الاقوامی ہوائی اڈا‎; Sindhi : جناح بين الاقوامي هوائي اڏي‎) ( IATA : KHI, ICAO : OPKC) is Pakistan's busiest international and domestic airport, and handled 6,697,073 passengers in 2017-2018. Located in Karachi, the largest city of Pakistan and capital of the province of Sindh, it is named after Muhammad Ali Jinnah, the founder of Pakistan. Sindhi is an Indo-Aryan language of the historical Sindh region in the northern part of the Indian subcontinent, spoken by the Sindhi people. It is the official language of the Pakistani province of Sindh. In India, Sindhi is one of the scheduled languages officially recognized by the central government, though Sindhi is not an official language of any of the states in India. Pakistan Civil Aviation Authority is a public sector autonomous body, which oversees and regulates all aspects of civil aviation in Pakistan. PCAA's head office is situated in Terminal-1 of Jinnah International Airport in Karachi. PCAA is a member state of the International Civil Aviation Organization. 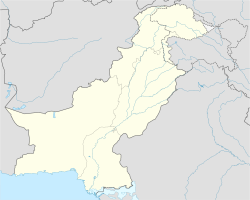 Nearly all civilian airports in Pakistan are owned and operated by the PCAA. Airline hubs or hub airports are used by one or more airlines to concentrate passenger traffic and flight operations at a given airport. They serve as transfer points to get passengers to their final destination. It is part of the hub-and-spoke system. An airline operates flights from several non-hub (spoke) cities to the hub airport, and passengers traveling between spoke cities need to connect through the hub. This paradigm creates economies of scale that allow an airline to serve city-pairs that could otherwise not be economically served on a non-stop basis. This system contrasts with the point-to-point model, in which there are no hubs and nonstop flights are instead offered between spoke cities. Hub airports also serve origin and destination (O&D) traffic. A flag carrier is a transportation company, such as an airline or shipping company, that, being locally registered in a given sovereign state, enjoys preferential rights or privileges accorded by the government for international operations. The term also refers to any carrier that is or was owned by a government, even long after their privatization when preferential rights or privileges continue. Imperial Airways was one of the first airlines to fly to Karachi in March 1929. Jehangir Ratanji Dadabhoy Tata was a French-born Indian aviator, entrepreneur, chairman of Tata Group and the shareholder of Tata Sons. 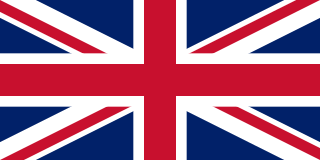 The British Raj was the rule by the British Crown in the Indian subcontinent from 1858 to 1947. The rule is also called Crown rule in India, or direct rule in India. 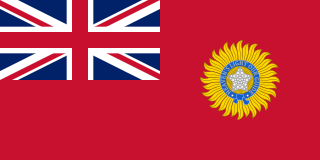 The region under British control was commonly called British India or simply India in contemporaneous usage, and included areas directly administered by the United Kingdom, which were collectively called British India, and those ruled by indigenous rulers, but under British tutelage or paramountcy, and called the princely states. The whole was also informally called the Indian Empire . 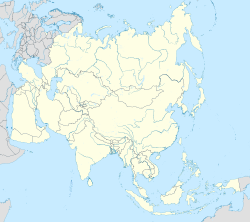 As India, it was a founding member of the League of Nations, a participating nation in the Summer Olympics in 1900, 1920, 1928, 1932, and 1936, and a founding member of the United Nations in San Francisco in 1945. Mumbai-Juhu Airport is located in Juhu, an upmarket residential suburb of Mumbai, India. It is used by small General Aviation aircraft and helicopters. Founded in 1928 as India's first civil aviation airport, Juhu served as the city's primary airport during and up to World War II. In 1948, commercial operations were moved to the much larger RAF Santacruz which was built 2 km east of Juhu aerodrome during the war. In 1932, JRD Tata landed at the Juhu aerodrome, inaugurating India's first scheduled commercial mail service. During the late 1920's and early 1930's, there was a large black coloured airship hangar at the site of Karachi Airport, constructed for the British HMA R101, at the time, the largest aircraft ever built. Only three hangars were ever built in the world to dock and hangar Britain's fleet of passenger airships. However, the R101 never arrived in Karachi (then part of the British Raj) as it crashed and exploded just 8 hours into its maiden flight over Beauvais France, killing all but 6 of its 54 passengers and crew. This hangar was so huge that aircraft often used it as a visual marker while attempting VFR landings at Karachi. Over the years, the hangar became known as the landmark of Karachi, until it was demolished by order of then-President Ayub Khan in the 1960s. Airship hangars are specialized buildings that are used for sheltering airships during construction, maintenance and storage. Rigid airships always needed to be based in airship hangars because weathering was a serious risk. R101 was one of a pair of British rigid airships completed in 1929 as part of a British government programme to develop civil airships capable of service on long-distance routes within the British Empire. It was designed and built by an Air Ministry-appointed team and was effectively in competition with the government-funded but privately designed and built R100. When built, it was the world's largest flying craft at 731 ft (223 m) in length, and it was not surpassed by another hydrogen-filled rigid airship until the Hindenburg flew seven years later. During World War II, Karachi Airport was a major transhipment base for United States Army Air Forces units and equipment being used by Tenth Air Force in eastern India, Burma and the Fourteenth Air Force in China. Several operational bomber and fighter units flew into Karachi for short organisational periods prior to their deployment. Air Technical Service Command had extensive facilities where aircraft were received, assembled and tested prior to being flown to their combat units at forward airfields. It also functioned as a major maintenance and supply depot for both air forces. 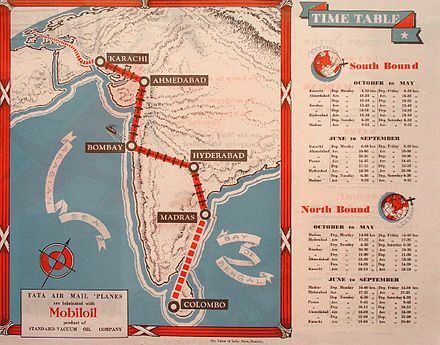 In addition, Air Transport Command flew numerous cargo and passenger flights to the Middle East and to points within British India and China. The United States Army Air Forces, informally known as the Air Force,or United States Army Air Force, was the aerial warfare service component of the United States Army during and immediately after World War II (1939/41–1945), successor to the previous United States Army Air Corps and the direct predecessor of the United States Air Force of today, one of the five uniformed military services. The AAF was a component of the United States Army, which in 1942 was divided functionally by executive order into three autonomous forces: the Army Ground Forces, the Services of Supply, and the Army Air Forces. Each of these forces had a commanding general who reported directly to the Army Chief of Staff. The Tenth Air Force is a unit of the U.S. Air Force, specifically a numbered air force of the Air Force Reserve Command (AFRC). 10 AF is headquartered at Naval Air Station Fort Worth Joint Reserve Base/Carswell Field, Texas. Karachi was once a much busier airport. Between the 1960s and 1980s it was an online station of several airlines of the world including Qantas, Pan Am, Air India, BOAC, British Airways (now operating via codeshare with Qatar Airways), Interflug, TAROM, Alitalia (now operating via codeshare with Etihad), JAT Yugoslav Airlines, Aeroflot, Lufthansa, Swissair, SAS, Air France, KLM (now operating via codeshares with Etihad and Gulf Air), UTA, Philippine Airlines, Singapore Airlines, Garuda Indonesia, Japan Airlines, Libyan Arab Airlines, Nigeria Airways, EgyptAir, East African Airways, Kenya Airways (now operating via codeshare with Etihad), Kuwait Airways, Syrian Air, Royal Jordanian and MEA. Other former airlines were Azerbaijan Airlines, Taban Airlines, Yemenia, Gulf Traveller, Kyrgyzstan Airlines, Tajik Air, Turkmenistan Airlines, Uzbekistan Airways, Air Kazakhstan, Ariana Afghan Airlines, Air Ceylon, Indian Airlines, Transportes Aéreos da Índia Portuguesa, Royal Nepal, Biman, GMG Airlines, United Airways, CAAC Airlines, Cathay Pacific, Malaysia Airlines, Braathens SAFE, Transports Aériens Intercontinentaux, Swiss International Air Lines, Eritrean Airlines, Sudan Airways, Ethiopian Airlines and ZAS Airlines. However, due to the emergence of Dubai's airport on the world map, increased usage of longer haul aircraft, expensive fuel prices in Pakistan and the poor political climate of Karachi during the 1990s, several airlines discontinued their service to the airport. In the past couple of years Karachi has seen a reversal in fortunes. The dwindling number of international airlines has stabilised and whilst there has not been a marked increase in the number of airlines flying into Karachi, some have either increased the number of flights or resumed their old operations, either online or via codeshare service. On 8 June 2014, at least 10 militants armed with automatic weapons,    a rocket launcher, suicide vests and grenades attacked the airport; 36 people were killed, including all 10 attackers and at least 18 people were wounded. Jinnah International Airport has a capacity of handling 12 million passengers annually. In fiscal year 2008–2009, over 5,725,052 passengers used Jinnah International Airport. 50,095 aircraft movements were registered. It is the primary hub of Pakistan International Airlines (PIA). All other Pakistani airlines also use Jinnah International Airport as their main hub. These include airblue, Shaheen Air, SereneAir as well as several charter carriers. The building is linked via connecting corridors to two satellites, each having a provision of eight passenger-loading bridges. The eastern satellite is devoted exclusively to handling international operations. The western satellite is used for domestic operations, as well as some international operations. This is achieved through a flexible arrangement of gates. The two satellites supplement the departure lounges of the terminal building and also provide shopping facilities, mobile recharging points, and snack counters. The Ispahani Hangar is PIA's wide-body aircraft maintenance hangar at Jinnah International Airport. It has been named in honour of Mr. Mirza Ahmad Ispahani. Mirza Ahmad Ispahani was the first and longest serving chairman of Pakistan International Airlines from its inception in 1954 until 1962. The new jet hangar for wide body and narrow body aircraft with a supporting airframe overhaul shop was completed and commissioned in 1968. Most of the PIA aircraft are checked and regulated at the aircraft hangars in Karachi. The PIA maintenance also check other airline aircraft in Karachi such as Philippine Airlines, Yemenia and Turkish Airlines. The airport has two runways measuring 3,200m and 3,400m in length respectively. Runways, 25R/07L and 25L/07R each have a width of 46 m (250 ft)and 45m respectively. Capable of handling up to Boeing 747, Boeing 787 Dreamliner & Antonov An-225 Mriya aircraft. The runways have capacity to handle 15 flights per hour and it accommodate simultaneous landing and take off. Runway 25R and 25L is equipped with ILS CAT-I to guide landing aircraft safely under very poor weather conditions and also allowing planes to land in low visibility conditions, such as fog. The taxiway is able to handle 12 aircraft at any one moment while the parking area measures 266,000 sq metres and is able to accommodate 42 aircraft, 12 of which through air bridges linking them directly with the terminal building. In addition to this, there are remote parking bays for 30 aircraft. Jinnah International Airport is situated in the well populated area of Gulistan e jauhar and it is easily accessible through Airport Road from any part of the city. The Airport has a wide parking area which can accommodate more than 3000 vehicles. Bus and mini bus and taxis are also available to the airport. There are also a number of traditional rickshaws available at the airport parking area & entrance which are quite popular to travel short distance within the city. Karachi Cantonment railway station is the nearest railway station from the airport to get the railway connections for the other parts of country. 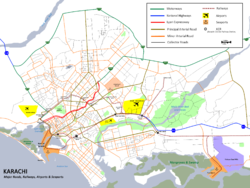 There is also a commuter rail station, Karachi Airport Station, which is located 2 km southwest of main Jinnah Terminal, just south of Star Gate. 5 September 1986 Boeing 747-121 Pan Am Flight 73 Pan American World Airways 381 20 Aircraft was hijacked by Palestinian gunmen posing as airport officials upon arrival from Bombay (now Mumbai), India. 20 people were killed when the gunmen opened fire on the passengers as commandos prepared to storm the airplane whilst still on the ground. Air Malta plc is the flag carrier airline of Malta, with its headquarters in Luqa and its hub at Malta International Airport. It operates services to destinations in Europe, Middle East and North Africa. The Aero Asia International commonly known as AeroAsia, was the principle and one of the largest private international airline based in Karachi, Pakistan from 1993 until its collapse on 19 May 2007. Airblue Limited is a private Pakistani low-cost airline with its head office on the 12th floor of the Islamabad Stock Exchange (ISE) Towers in Islamabad, Pakistan. Airblue operates scheduled domestic and international flights to Oman, Saudi Arabia and the United Arab Emirates. Nawabshah Airport is an airport located about 3 kilometres (1.9 mi) southwest of Nawabshah, a city in the Pakistani province of Sindh. It has one runway, which has a length of 2,743 metres (8,999 ft). Built by the British Raj, Nawabshah Airport does not handle any scheduled passenger flights, but it has been used as a diversion airport. It is also used by the Pakistan Air Force. The Ispahani Hangar is a Pakistan International Airlines wide-body aircraft maintenance hangar at the Jinnah International Airport in Karachi, Pakistan. It was named in honour of Mirza Ahmad Ispahani, the first and longest serving chairman of Pakistan International Airlines (PIA). The hangar for wide body and narrow body aircraft with a supporting airframe overhaul shop was completed and commissioned in 1968. Air Indus was a private airline based in Karachi operating as a domestic airline. 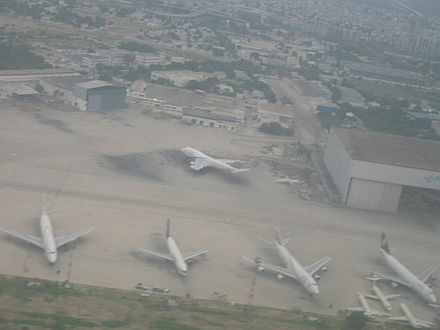 The airline's headquarters were located in Defence Housing Authority (DHA), Karachi. Air Indus started operations on 28 July 2013. However, it was forced to suspend operations on 1 July 2015 after the Civil Aviation Authority suspended its operational license for failing to meet safety requirements and fulfilling the Pakistani legal requirements of 3 operating aircraft. Its main base of operations and hub was Jinnah International Airport, Karachi. This article incorporates public domain material from the Air Force Historical Research Agency website http://www.afhra.af.mil/ . ↑ "Key transfers in CAA; Afsar Malik appointed Karachi airport manager" . Retrieved 1 June 2015. ↑ "Statistical Information of CAA Pakistan". ↑ "Welcome to Jinnah International Airport Karachi". Archived from the original on 24 November 2005. ↑ Pran Nath Seth; Pran Nath Seth, Sushma Seth Bhat (2003). An Introduction To Travel And Tourism. Sterling Publishers Pvt. Ltd. p. 112. ISBN 978-81-207-2482-2. ↑ "Karachi Airport attacked; Indian weapons recovered from the terrorists". Nation.com.pk. Retrieved 2014-06-11. 1 2 Dennis Lynch (8 June 2014). "Militant Attack On Karachi Airport In Pakistan Claims 23 Lives, At Least 14 Wounded". International Business Times. Retrieved 1 June 2015. ↑ "Contact Us Archived 22 September 2014 at the Wayback Machine ." Civil Aviation Authority of Pakistan. Retrieved on 3 May 2010. ↑ "Contact Us." Pakistan International Airlines. Retrieved on 23 February 2010. ↑ "Contact Us: Domestic." Shaheen Air. Retrieved on 28 July 2010. ↑ "Jinnah International Website". Archived from the original on 25 April 2010. ↑ "World Aero Data: JINNAH INTL -- OPKC" . Retrieved 1 June 2015. ↑ 2017, UBM (UK) Ltd. "Serene Air outlines 1Q17 operations". ↑ "Istanbul New Airport Transition Delayed Until April 5, 2019 (At The Earliest)". ↑ Ranter, Harro. "ASN Aircraft accident Douglas C-48C (DC-3) VT-AUG Korangi Creek". aviation-safety.net. ↑ Chesterfield, Lyn. "Hermes prang". Aeroplane. No. January 2011. Kelsey Publishing. p. 82. ↑ "Accident description". Aviation Safety Network. Retrieved 11 September 2009. ↑ "22 killed when small plane crashes in Pakistan". CNN International. July 5, 2010. Retrieved 13 July 2010. ↑ Hradecky, Simon. "Crash: Sun Way IL76 at Karachi on Nov 28th 2010, engine fire". The Aviation Herald. Retrieved 28 November 2010. ↑ "Karachi airport attack". Dawn. Dawn. 10 June 2014. Retrieved 2 June 2016. ↑ "CAA suspends Air Indus' operations for violating safety regulations". Dawn. Dawn. 1 July 2015. Retrieved 2 June 2016. ↑ Davies, Greg. "ATR crash is PIA's tenth hull loss since 2000". Fligh. Flightglobal. Retrieved 8 December 2016. Airport information for OPKC at World Aero Data. Data current as of October 2006.